A family owned fine jewelry store conveniently located in beautiful Williston Vermont. 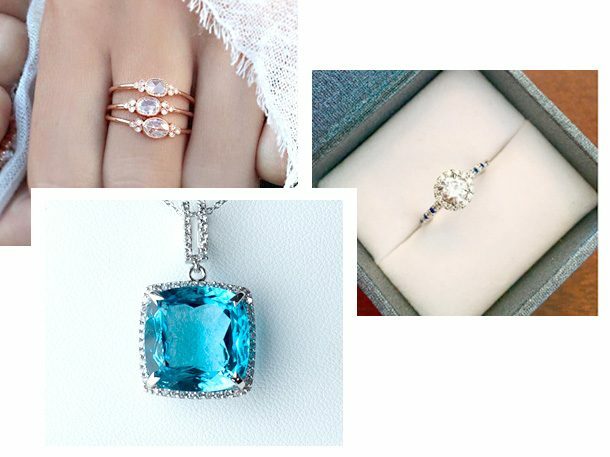 Argento Laraine specializes in antique and vintage diamond bridal jewelry, as well as designer fashion collections, custom design, jewelry repair and colored gemstones. They also offer a beautiful estate collection and original hand made pieces. Whether you are simply looking for a meaningful gift or ready for an engagement ring, they are willing to spend as much time with you as needed to find exactly what you want. In addition to owning a Fine Jewelry store, Krista and Jayson also own Lake Champlain Photography which is located in the offices attached to their jewelry store. Many portrait sessions are shot in their showroom and surrounding property. To create and sell exceptional and high quality unique jewelry, We are more than a fine jewelry store. We strive to have a personal, caring relationship with all our clients and to work with each of them to create pieces which are unique and special. Fine jewelry can be a very personal and sentimental part of our lives. It is making a memory and being able to hold onto it… even passing it on throughout generations. We are not just a fine jewelry store that sells beautiful jewelry. Some of our services include watch battery replacements, watch band adjustments, professional jewelry repair and restoration. Engagement Rings, Wedding Rings, Diamond Rings, Promise Rings, Vintage Engagement Rings, Antique Engagement Rings, Jewelry Repair, Jewelry Cleaning, Watch Band Adjustment, Watch Battery Replacement, Necklaces, Bracelets, Custom Design Jewelry: Earrings, Gold, Platinum, Ring Sizing, Pearl Stringing, Pendants: Charms, Silver, Ruby, Topaz, Emeralds and much more.